Are you looking to install a Fujitsu Split System Air Conditioner? Fujitsu are known for delivering quality, reliability and affordability, they are one of Australia’s most popular brands of air conditioning units. Our team of qualified technicians can assist with all your Fujitsu air conditioning services. BG Electrical have been servicing Brisbane for over 10 years and have the expertise to undertake domestic and commercial split system air conditioning installations. We offer the most time efficient and cost effective solutions to get your Fujitsu Air conditioning installation complete and your air conditioner working sooner. 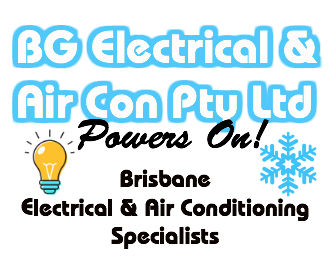 BG Electrical are the air conditioning specialists for all your Brisbane air conditioning needs. Our experienced air conditioning team can advise on the ideal unit for your needs and space, as well as the best split system installation location to ensure your unit is running at optimum performance. Installing an air conditioner which is too big or too small for the room can lead to unnecessary power usage.